The MSC «Preziosa» this week brought more that 3,500 tourists to Longyearbyen. It is the biggest ship ever in the Norwegian Arctic port. And more is to come. Next year, there will be another even bigger ship coming to Longyearbyen, local harbor master Kjetil Bråten says to the Barents Observer. The MSC «Preziosa» is owned by cruise line company MSC, a company which increasingly invests in Arctic tourism. On board the 333 meter long, 18 floors ship are 3,532 people. The vessel will come back to Longyear another two times in the course of 2017. Arctic tourism is on the rise. Quickly. And the Norwegian archipelago of Svalbard is among the most popular destinations. Over the last decade, cruise tourism to the islands has increased by up to 20 percent per year, Bråten says. He estimates that about 70 more port calls will be made by cruise vessels this year compared with 2016. An online overview from the Longyearbyen port shows that this week alone, as many as 20 ships are expected. «Up to 90 percent of the ships visiting our port are cruise ships and we know how to handle the increasing traffic», Bråten underlines. «We have a smooth system». And more people are coming ashore. 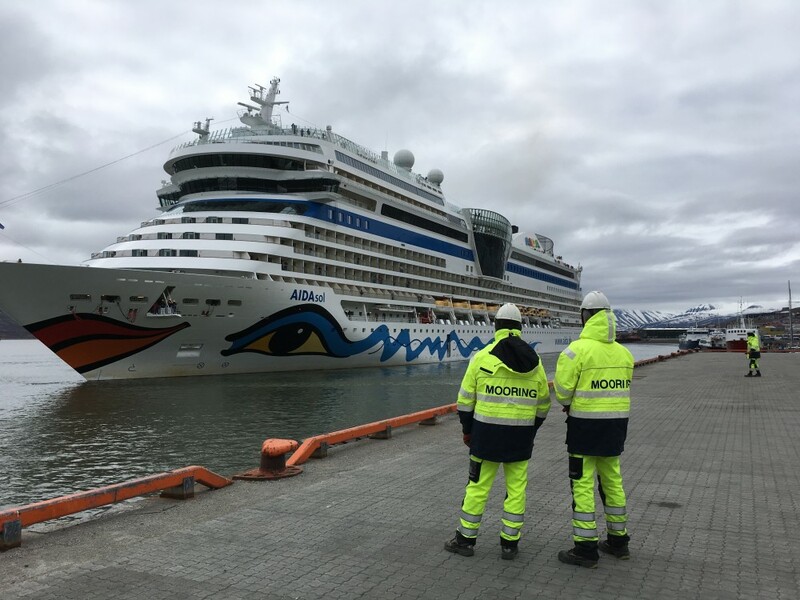 The harbor master believes up to 2,500 of the tourists on board the MSC «Preziosa» will set their foot on land and take a trip to the nearby Longyearbyen town center. Local tourism companies rejoice. They now offer ship tourists up to 25 local tours and tourism activities. Most passengers sailing to the high north are Europeans. American passengers chose voyages sailing the fjords further south on Norway’s west coast, while Asian tourists are not yet queuing up for the traditional cruise voyages, Erik Joachimsen, Managing director of Cruise Northern Norway & Svalbard told the Barents Observer. And many are elderly. On some of the ships visiting Svalbard, the average age is above 70 years. While cruise tourism to Svalbard is quickly growing, the number of ships visiting the northern parts of the Norwegian mainland will in 2017 be lower than the previous year. A total of 360 port calls are expected to destinations in Northern Norway. That is down from 444 port calls five years ago. The number of passengers, though, grows, says Joachimsen.